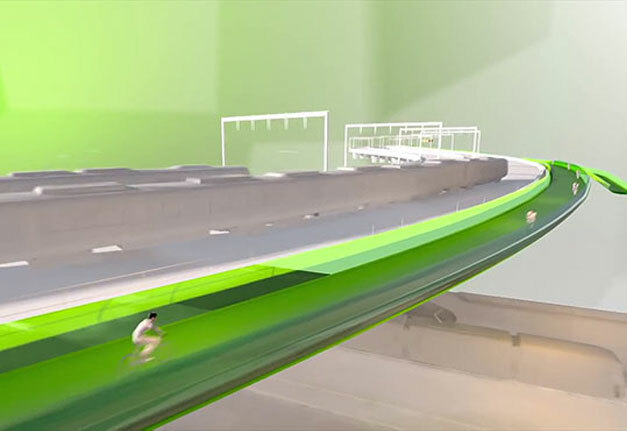 A new elevated “Veloway” is planned for Melbourne, Australia, as a means of reducing inner-city traffic and increasing mobility for cyclists. The 2.5-kilometere “Veloway” will form one section of 14 kilometers of proposed new cycling infrastructure for Melbourne, as part of the Victorian Government’s $5.5 billion Western Distributor project, which will see the construction of a series of roads aimed at taking cars and heavy vehicles off the city’s west end. 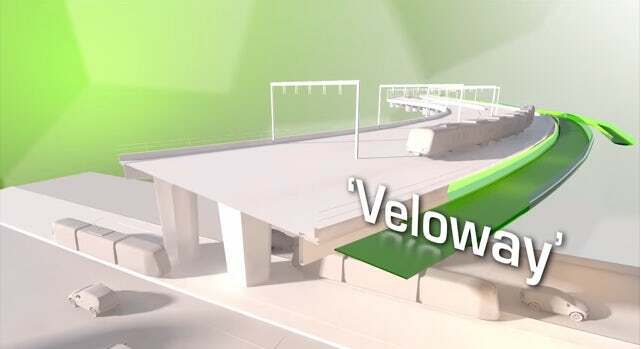 The “Veloway” was part of the submission by a consortium led area contractors, after the Government released a reference design for bike path upgrades last year. Victoria’s Bicycle Network’s Gary Brennan, who was consulted on the plan, said the bikeway would be suspended under the Western Distributor Roadway, allowing riders to avoid traffic lights and heavily used intersections. “Because they’re building an elevated freeway, it made sense to attach a bike lane underneath the elevated freeway,” he said. 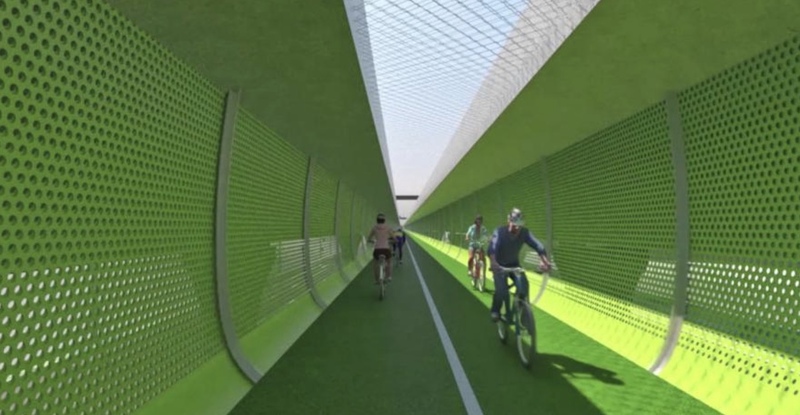 Victorian Transport Minister Luke Donnellan said while pedestrians would be allowed on the elevated cycleway, they would be encouraged to use existing bike paths into the city. “You will be able to walk in it, but really it’s very much focused on those opportunities for people to ride to and from work,” he said. Brennan said while the number of cyclists coming in from the west has grown, insufficient infrastructure and the number of trucks on the road were preventing it from rivaling the north as a cycling destination. “The demographics from the west are changing and there are a lot more younger households forming in the west, there are a lot more people who are interested and keen to ride bikes,” he said. “We counted on Footscray Road at the entrance to the CBD, and we’re getting between 1,600 and 1,800 riders in the morning peak. “Some of those are coming from the Moonee Ponds Creek to the north and others are coming from Footscray and Yarraville and Williamstown to the south. Included in the Government’s plan will be a bridge near Yarraville Gardens, allowing cyclists to avoid Footscray’s busy Whitehall Street, where a cyclist was killed last month. The proposal will now undergo an environmental effects consultation, to be completed by the end of the year, with construction due to begin in 2018. This week, the Government also announced a ban on trucks on Frances Street and Somerville Road in Yarraville, and Buckley Street and Moore Street in Footscray. Local Labor MP Wade Noonan said residents had been frustrated by trucks using suburban roads and worried about their families’ safety and health. “Some 5,000 trucks a day use a section of Frances Street to access the port,” he said.